After being passed by the Parliament in May 2017, the PPS Leases Amendment Act has commenced on 20th May. Nevertheless, there are many lessors and lessees in Australia that ignore the real implications of this change in the legal leasing framework. The motivation behind this reform was to stimulate local economy and businesses, especially small-sized ones, by reducing administrative workload and bureaucracy in lease scenarios. 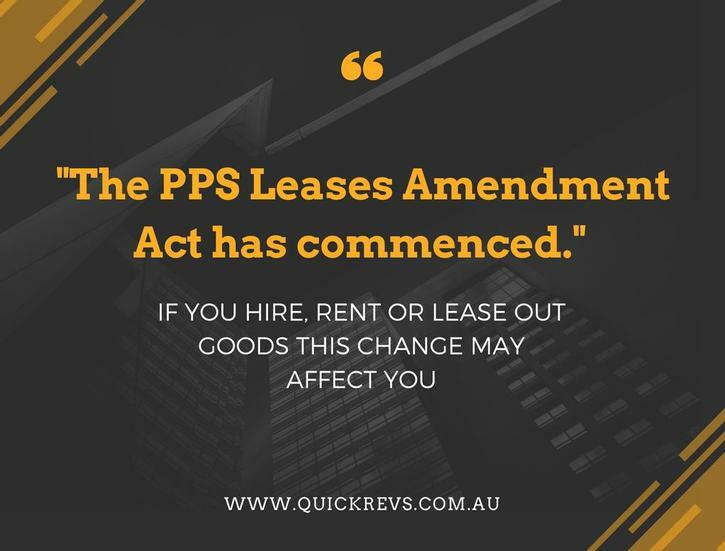 In order to understand the renewed PPS Lease Amendment Act, it’s important to know the original guidelines that were needed to follow. Before the changes, a PPS lease had a minimum period duration of one year. This meant that all lessors and lessees had to register their assets in the PPSR, which stands for Personal Property Securities Register, when the introduced lease had a period superior to one year. This requirement caused significant problems to all parties, which had to invest more time and money. With the recently renewed PPS Lease Amendment Act, only the leases with a minimum period of two years need to be registered in the PPSR. By changing this, both the lessor and the lessee have more freedom and flexibility in lease situations by not being forced to invest in toe proper registration. In the case of indefinite term PPS leases, the new guidelinesleave outside those leased assets that are returned before two years. This also means that, if the indefinite term PPS lease goes beyond this 24-month minimum, the proper PPSR formality will automatically become mandatory. And regarding the PPS leases that were established before thePPS Lease Amendment Act commenced, nothing happens. Leases and bailments entered before the commenced date will suffer no effect from this change.